Getting old is an ugly business and seldom a subject for cinema. I can't think of anyone more fitting than Michael Haneke to tackle this uncinematic, almost taboo subject. Amour is a somber and completely unsentimental depiction of a slow, agonizing death of a loved one. An old Parisian couple Georges (Jean-Louis Trintignant) an Anne (Emmanuelle Riva) are first seen at a piano concert among the audience. They are retired music teachers, attending one of their successful pupils' piano recitals. They start as audiences then quickly become our subjects. A stroke leaves Anne half paralyzed and wheelchair bound and her health steadily declines. Before Anne loses her marbles, the couple serenely talks about their imminent future. She doesn't wish to go back to the hospital ever again. Georges obliges. As her conditions worsen, devoted Georges takes care of his wife 24/7, despite emotional protests from their daughter (Isabelle Huppert). Dying is a grisly, undignified, degrading affair where no one is to blame. Georges is old enough to know this. But the question is this: how much can you take the suffering of your loved one? 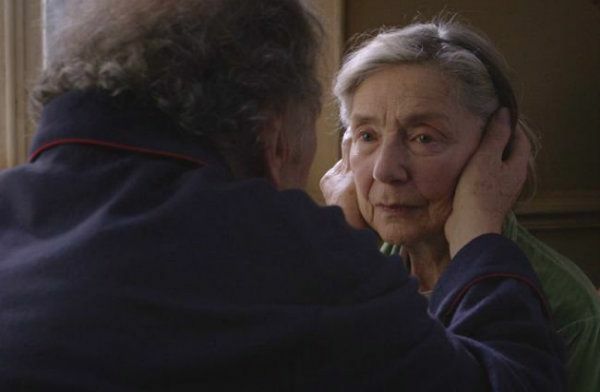 Just like Haneke's other films, Amour is not a film to be enjoyed. Watching it makes you uncomfortable and sad- much sadder than his other films even. It's very straightforward and direct. 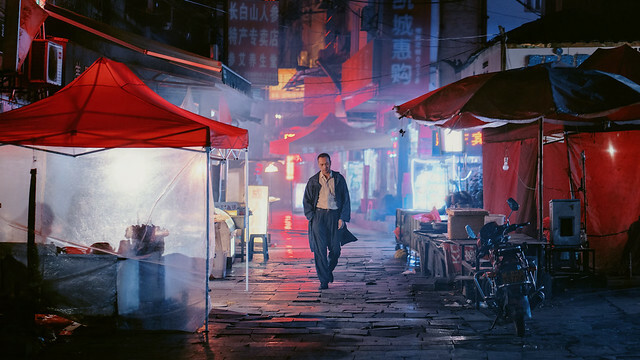 Shot economically and with no visual flares by Darius Khondji (in their second collaboration), its cinematography takes a backseat to immense performances by the two principals. Riva gives, hands down, the best performance of the year. In her graceful face, you see the remnants of that beauty from Hiroshima Mon Amour- it makes the whole experience all the more devastating. Trintignant too is amazing. There is no music to guide us emotionally, even though they are pianists. It starts and ends in silence. In typical Haneke fashion, watching Amour, you don't get overly emotional, rather, you feel numb. It certainly deserves all the recent accolades.